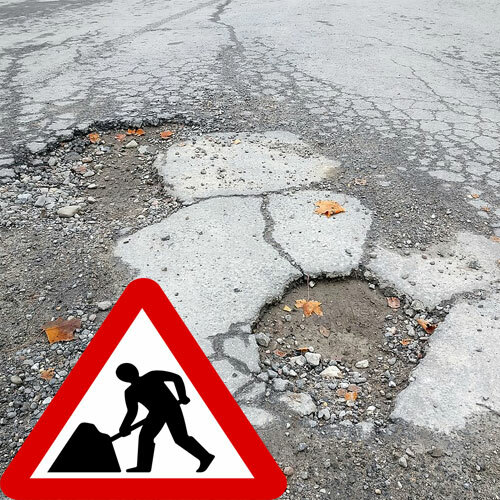 The department of transport will also fund research into new surface materials and pothole repair techniques to avoid the amount of potholes and repairs needed in the past. Importantly the department of transport is consulting with utility companies to guarantee their roadworks for up to 5 years, this is currently is 2 years. New techniques of road repairs are being tested such as 3D printing for pothole repairs. It is believed in England and Wales alone nearly £10billion would need to be spent over the next decade to bring all roads back to a satisfactory condition. The Department of Transport says that the £201million funding would be able to repair more than 1,000 miles of roads, the investment is will come from the £6.6billion that the Government is providing for local road improvements in the six years up to 2021. Short term repairs are not cost effective so this long term funding should improve the road repair quality to get our roads back to normal. Damage to vehicles from damaged road surfaces has been on the increase for a number of years and this needs to stop by proper longer lasting maintenance. Thank you for reading this Article “Government Allocate £200million to repair British Roads” if you would like to leave a comment of your views please do so below.